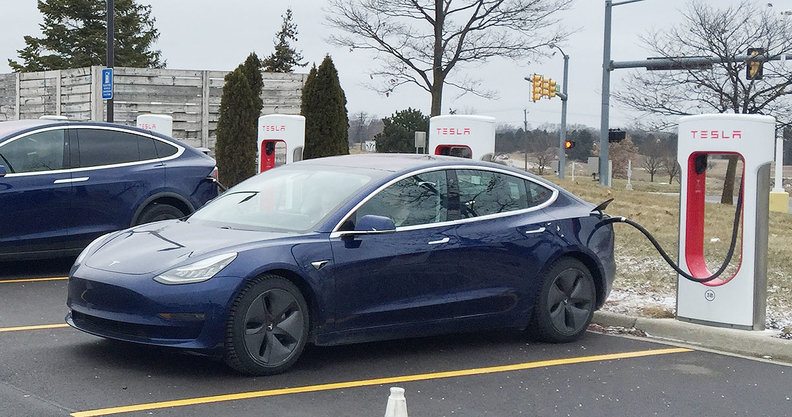 Volkswagen Group unit Electrify America said on Monday it will install Tesla Inc. battery storage packs at more than 100 charging stations across the United States to keep costs down for drivers charging electric vehicles. "If you pass the demand charge onto the customer in a high-demand charge market" it can cost anywhere from $70 to $110 to charge a vehicle, Electrify America's COO Brendan Jones told Reuters. "If you did that, obviously nobody would buy an electric vehicle." During a conference call with analysts last week, Tesla CEO Elon Musk said "stationary storage" is a growth opportunity for the automaker. He said that apart from keeping charges down for consumers, Electrify America will examine the possibility of selling stored energy to lower charging stations' costs.